We love this new Studio 490 stamp set by Wendy Vecchi. You should see her samples because they are amazing. You get a feel of what you can do with such cool stamp designs. 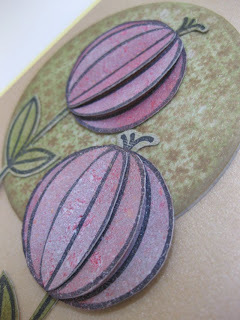 Inspired by Wendy's creations, Samantha had fun playing with this new stamp set and is hosting a new episode of the eclectic Feed. Supplies used: Lowercase Art & Card Art Essentials; round coasters; Cappuccino cardstock cover. 12 New Copic Colors for You!